Can’t go anywhere without your Fujifilm Instax Mini 8? Then you should probably consider having getting this stylishly functional protective case for your Instax camera! This Fujifilm Instax Mini 8 Leather Case is provides durable protection as well as a convenient way to carry your Instax camera around with you! Now it's include and stylish Instax emblem on it. 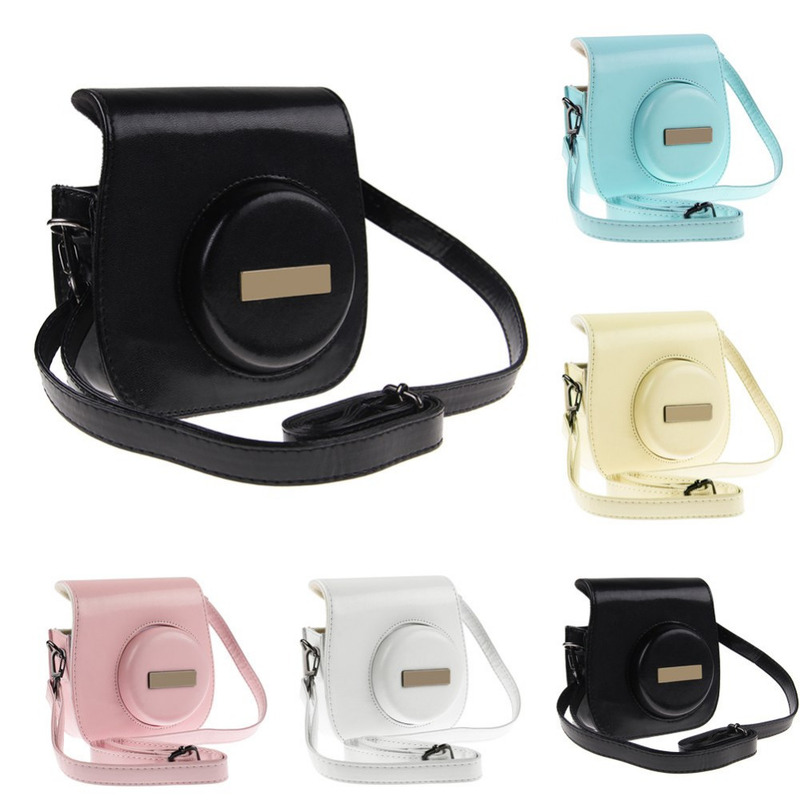 Made form high quality PVC light leather materials, the case is designed specifically to fit Instax Mini 8 cameras and keep them safe. The perfectly fitted shape keeps your camera firmly in place and protects is from dust, splashes and shock damage. Besides that, the case also comes in a variety of different colours for you to choose from to suit your personality. The case can be easily attached to your belt and thus allowing you to carry your Instax camera anywhere with relative ease and comfort. The case is secured with a zipper on the top which makes accessing your camera easy and fast whenever you want to snap a picture quickly.